Produktinformationen "Korean Picture Dictionary - Bildwörterbuch mit MP3 CD"
This book was designed for easy use by new foreign learners of Korean. ① It covers a total of approximately 3,800 words chosen from the 50,000 vocabulary words found on the National Academy of the Korean Language's (NAKL) list of most frequently used words in Korean and the Yonsei Korean Dictionary, as well as from textbooks used in teaching Korean as a foreign language at the university level. ② Thirteen categories cover a diverse range of vocabulary from everyday life, in subjects from home to school and from nature to the galaxy. ③ Word translations in English, Chinese, Japanese make sure each word makes sense in your language. ④ Pictures help you enjoy remembering words that otherwise would be dry and unexciting. Each section includes phrases and expressions from everyday Korean that help you put words in context. 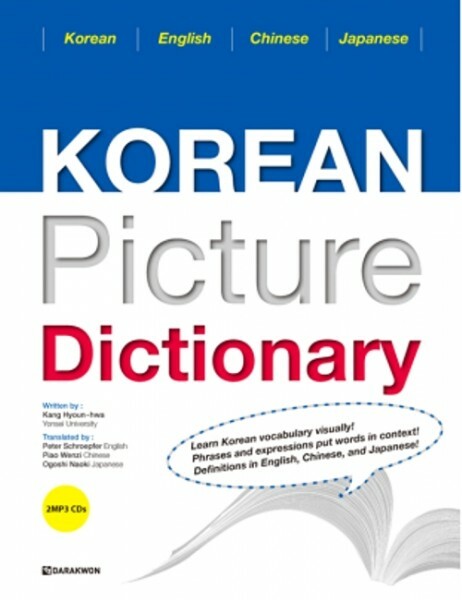 Weiterführende Links zu "Korean Picture Dictionary - Bildwörterbuch mit MP3 CD"
Unser Kommentar zu "Korean Picture Dictionary - Bildwörterbuch mit MP3 CD"
Kundenbewertungen für "Korean Picture Dictionary - Bildwörterbuch mit MP3 CD"